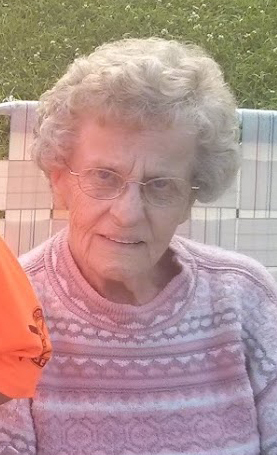 Deloris Jane Lapensky 89, of Washington, died, Wednesday, March 20, 2019. She was born February 8, 1930 in McConnells Mills, PA.; a daughter of Robert and Josephine Howcroft Malone. On November 24, 1954 she married Harry Lapensky who died December 17, 2012. Mrs. Lapensky enjoyed crocheting, bird watching, gardening and playing cards. Deceased are three brothers Donald Chuck and William Malone; two sisters, Doris Rossi and Elizabeth Cumer. Family will receive friends on Tuesday, March 26, 2019 from 11- 1:15pm the time of services at Nation Funeral Home Inc. 220 E. Lincoln Ave. McDonald, PA. 15057. Interment will follow at the National Cemetery of the Alleghenies.